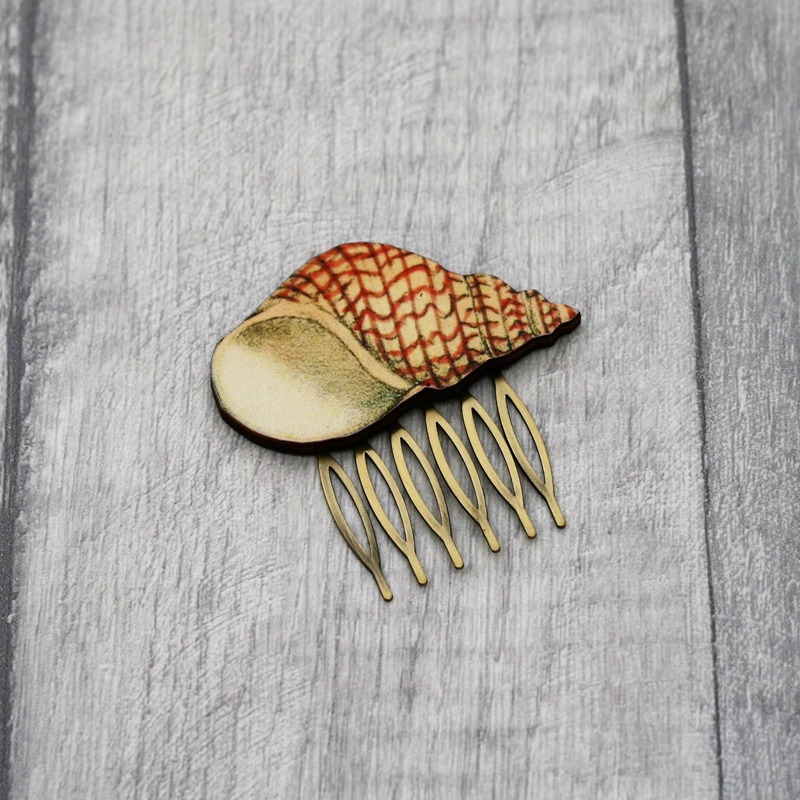 This beautiful hair slide has been made by attaching a wooden shell cut to gold plated/bronze hair slides. • The shell is approximately 1" (2.5-3m) big. • This hair slide are very lightweight to wear and would suit any nature loving individual. • To care for your hair slide, please do not take it in the shower or swimming pool.